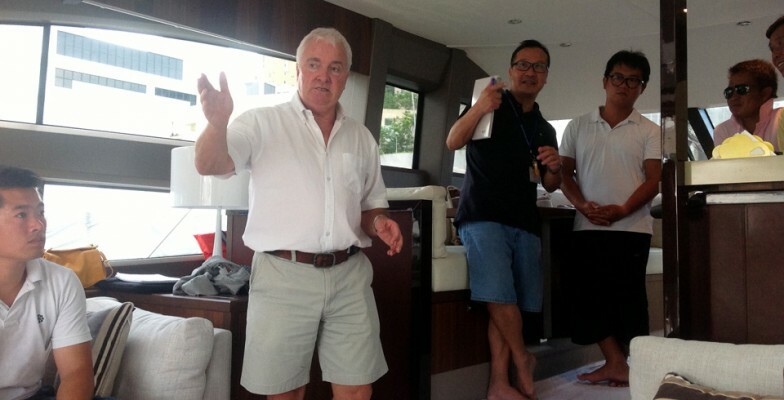 PMYA Asia’s Managing Director Robert Hawkins had 3 days motor yacht training with the team from Princess South China in Hong Kong this August. 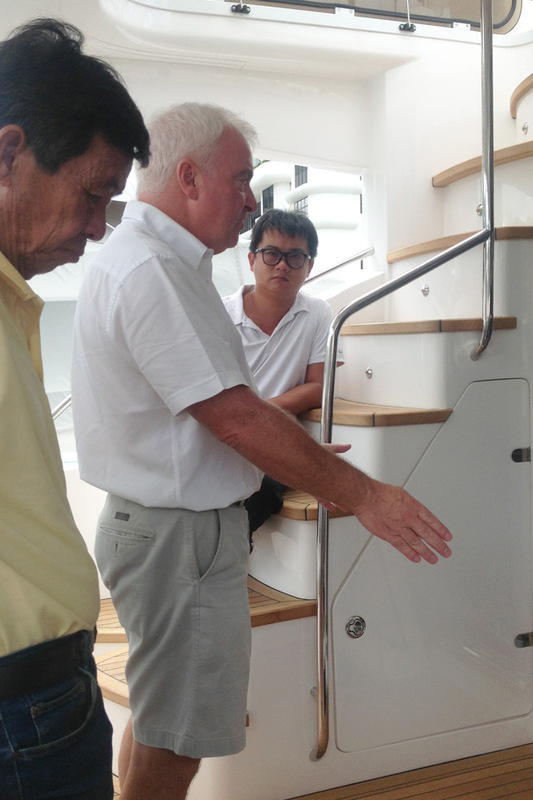 During the training Robert and his students ran through the specifications of the new Princess models featured by Princess 56, 60, 64 and 82. The models are getting higher in popularity and taking over the boating market all over the world with China in particular. 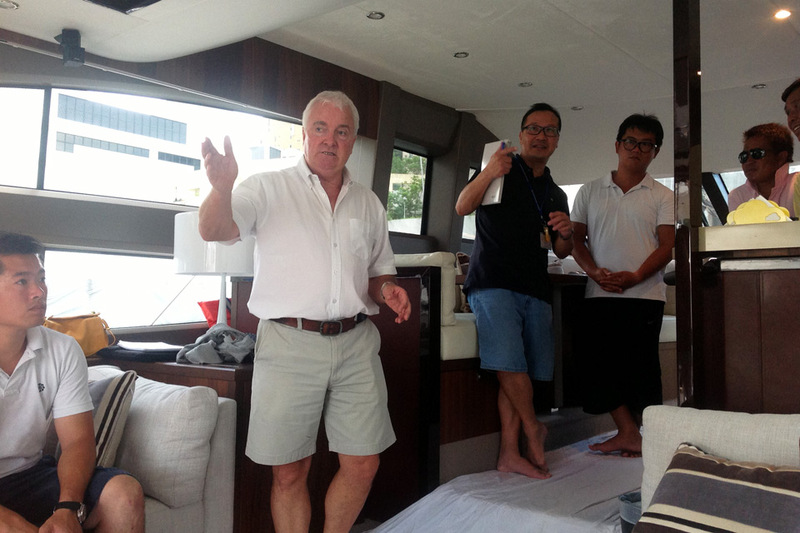 Seeing the great potential in the boating market of China, Princess Yachts International requested Robert to introduce the models closely to Princess South China team that included 15 sales executives and service engineers. 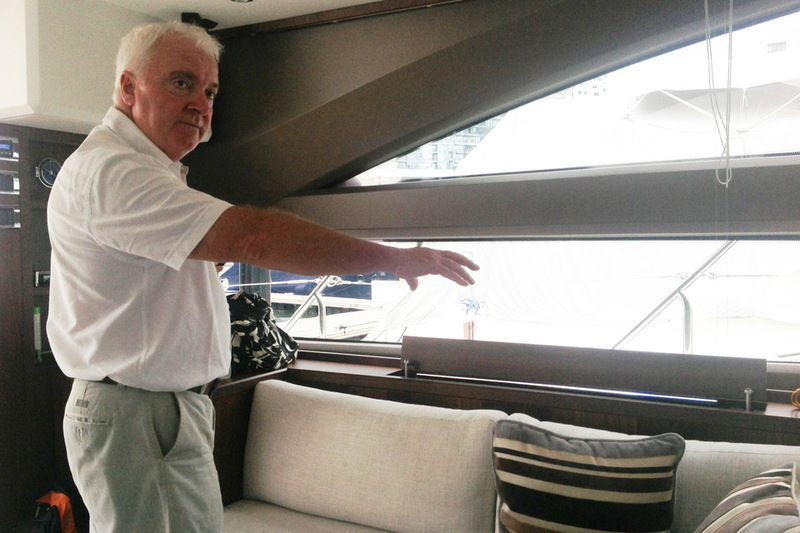 Robert who has worked in the boating business for 30 years, and 23 of them with the prestigious Princess brand, explained all the basic features of the boats like electrical and engine systems, speed range, layout options and maintenance.